I am one of those people who gets flustered very quickly when learning languages, especially when learning languages in a classroom from a textbook. Usually things stop making sense and the whole process becomes nothing but a hotbed for anxiety and insecurity. I DID NOT have this experience when I went to the Express Fluency Beginner Spanish course. Elissa is basically pure positive energy in human form. Her approach of teaching us through what I think of as kindergarten-style learning takes away the sense of failure and fear. You are constantly listening and engaging in ways that make learning much more intuitive. You are never pressured to speak when you are not comfortable. The important thing is that you UNDERSTAND, something none of my other language classes actually focused on, which probably was why I would fall behind so quickly. These classes are long but you come out feeling confident in the work you’ve done. I would recommend this Spanish learning course above any other I’ve taken. Other testimonials are available on each class page as well as on CourseHorse. 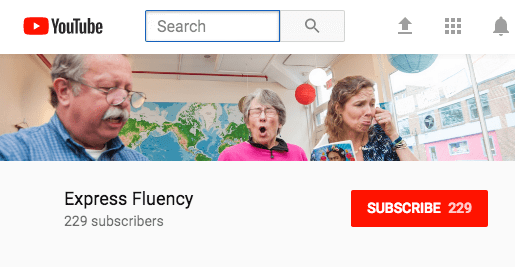 If you have taken an Express Fluency class in NYC, you can leave a review here.